Nia Clouden and Jasmine Dickey are longtime friends, playing on the same AAU squad. This past winter, they dominated the girls’ basketball scene. Dickey rewrote the Baltimore County record book, while leading Catonsville High to another state 4A final four. Clouden was the proverbial straw that stirred the drink for No. 1 St. Frances Academy. Clouden and Dickey are Varsity Sports Network’s Girls’ Basketball Co-Players of the Year. Long Reach enjoyed a breakthrough season under Kelli Cofield. Cofield is Coach of the Year. See below for our award profiles on each. Clouden put the finishing touches on her spectacular varsity resume this past winter. 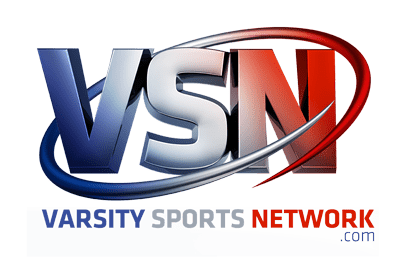 The senior is VSN’s Co-Player of the Year. The 5-foot-7 point guard averaged 13.8 points, 3.1 assists and 3.1 rebounds for No. 1 St. Frances Academy (21-4), which claimed its third consecutive IAAM A Conference championship. The east Baltimore school has won 38 consecutive decisions – including postseason – in IAAM A play. A big reason was the stotic Clouden, who often came up big in the biggest moments. She had 23 points, seven rebounds and three assists in the Panthers’ 69-51 IAAM A final victory over second-ranked McDonogh School. St. Frances coach Jerome Shelton saw that confidence when Clouden was an 8th grader playing in an AAU tournament five years ago. The Panthers went 100-15 in four years with Clouden, who scored more than 1,500 points. She’s the first player to repeat as Gatorade’s Maryland Player of the Year. Clouden will play for Michigan State University next season. Dickey carved a place among the area’s all-time best. The senior is Co-Player of the Year. The 5-foot-10 guard/forward averaged 20 points and 10.8 rebounds for the fourth-ranked Comets (23-4), who reached the Class 4A state final this past winter. The Baltimore County school won its first state championship last season. The Comets went 92-15 with two league titles and three region final appearances with Dickey, often called “LeBron” by longtime Comet coach Mike Mohler. Few players in the area dominated on both ends of court like Dickey. Dickey said her parents helped instilled her relentless work ethnic. “They always tell be humble and play every game like it’s your last,” said Dickey. Dickey, who averaged 23.8 points, 9.7 rebounds and 3.6 steals as a junior, totaled 90 points and 57 rebounds in four 4A state final four contests. This season, she became the 10th area player score 2,000 career points. Dickey’s 2,091 points is most in Baltimore County girls’ basketball history. She was named Ms. Maryland Basketball for the second straight year by the Maryland Basketball Coaches Association. Dickey, whose #20 uniform will be retired by Catonsville next season, will play for the University of Delaware. Cofield guided Long Reach to its finest season. The eight-year coach is VSN’s Coach of the Year. The Lightning won a school-record 21 games (21-3 overall) and reached their first state final. The Howard County school fell to Frederick, 62-50, in the Class 3A title game at Towson University. Last season, Long Reach lost to league rival and eventual state finalist Atholton in the East Region final at home. The Columbia school shared the Howard league crown with Howard this past season. The Lightning won seven games in the 2014-15 campaign. Long Reach got another chance at home in the East Region final, defeating Chesapeake-Anne Arundel. After outlasting Poly in the state semifinals, the Lightning sliced a 15-point deficit to four in the second half of the state finale before Frederick pulled away to win its second straight title. A native of New York who played collegiately at Stony Brook University, Cofield was as an assistant at City College of New York (2003-04) and Nicholls State (2004-08) before joining Long Reach as a volunteer coach in 2009-10. She’s 99-86 in eight seasons as Lightning coach.